Lowtoys, your fog light looks like it wants to fall out or something lol. Nice rims though. Black out your headlights and get a lip kit and it'll look mad hot. 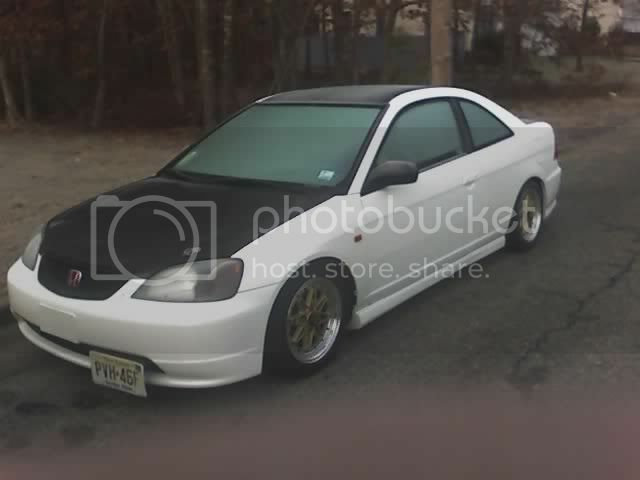 ^ what kind of bulbs are u using for ur fogs! thing is clean!! ill02civic , and 2002civ wtf are u guys smoking ? 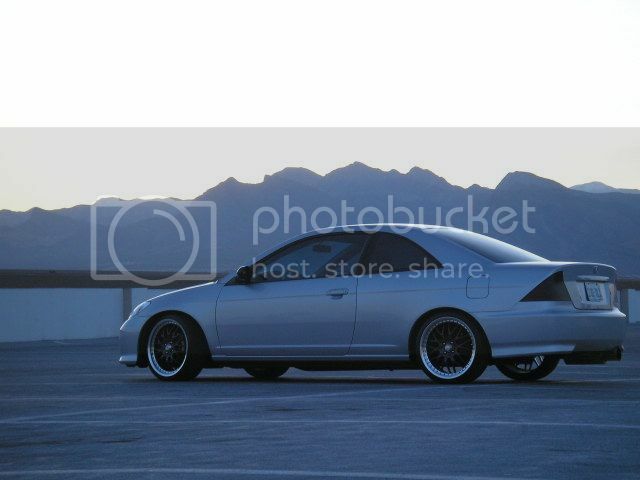 WHAT ISNT STOCK ABOUT IT BESIDES WHEELS AND MIRRORS?? 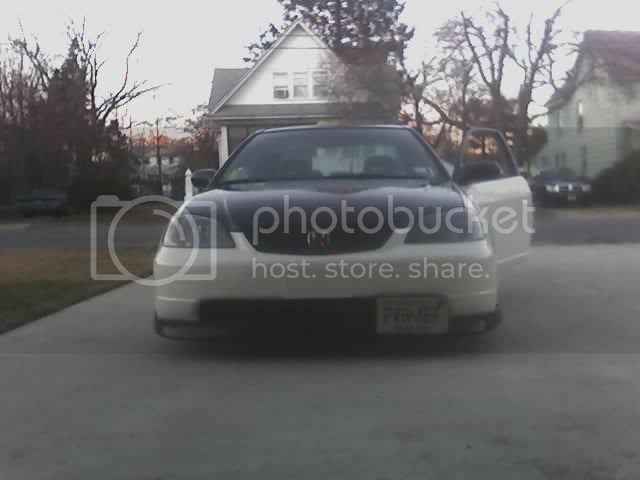 I misunderstood the posters term STOCK and CLEAN as in Not lowered, not stinted, not altered in anyway. thats funny, when people look at them in person they say the opposite of what u said, they usually say they they dont look like 18's but at a distance they sit pretty good. They probably look big cause i keep em clean. 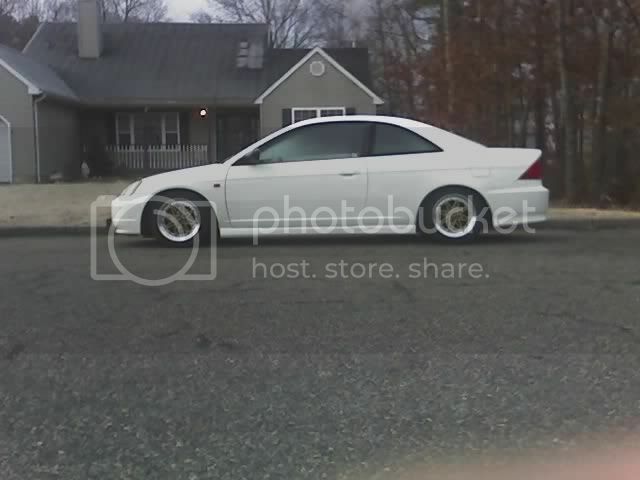 thats maD jDm tYtE y0!! Last edited by varner88; 02-23-2007 at 06:00 PM. ^^^looks like it turned out looking good....how do you like the white? ^nice.. is that an 04-05 rear bumper? i know its an 04+ bumper. looks good withe Varner. glad you got the car painted. like better than the Black. those Works still look nice. Looks badazz varner. Can't wait to see real pics and not camera phone ones. Varner: ur **** looks sooo tite!! props! 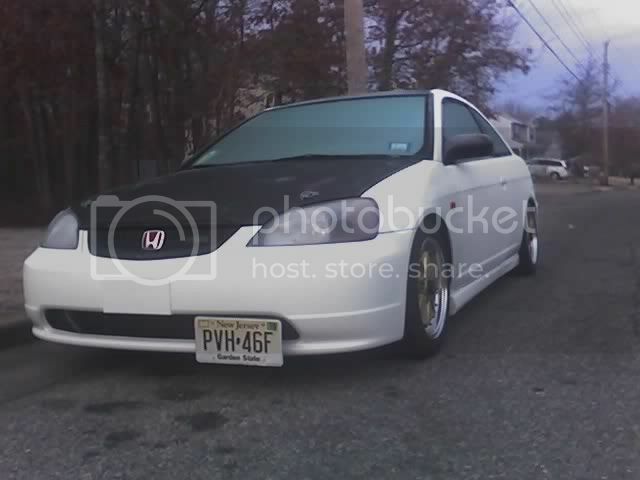 weeeeew sick *** rims...damn cant go wrong with works....hondakorn whered u get the window visors?